It would be sheer folly to try to conceal the true nature of Althalus, for his flaws are the stuff of legend. He is, as all men know, a thief, a liar, an occasional murderer, an outrageous braggart, and a man devoid of even the slightest hint of honor. Yet of all the men in the world, it is Althalus, unrepentant rogue and scoundrel, who will become the champion of humanity in its desperate struggle against the forces of an ancient god determined to return the universe to nothingness. Sparhawk, the Pandion Knight and Queen's Champion, returns from a long spell of exile to find his native land overrun with evil and intrigue, and his young Queen grievously ill. Indeed, Ehlana lies magically entombed within a block of crystal, doomed to die unless a cure can be found within a year. Six years had passed since the redoubtable knight Sparhawk had triumphed over the evil God Azash and returned to Elenia with Queen Ehlana, his bride. And now a new danger had arisen to threaten the peace of Ehlana's realm. The trouble had started quietly. At home, bandits began to plague the hill country. In neighboring Lamorkand, the customary political unrest turned ominous with whispers that the bloody heroes of old soon would rise again. A lost race of elves, the taredhel or 'people of the stars', have found a way across the universe to reach Midkemia. 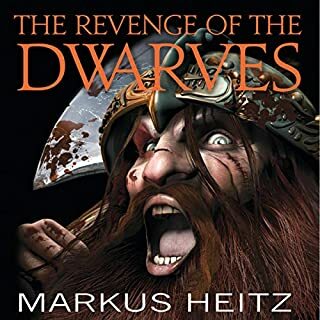 On their current home world, these elves are hard pressed by a ravaging demon horde, and what was once a huge empire has been reduced to a handful of survivors. The cornerstone of taredhel lore is the tale of their lost origins in the world they call simply 'Home', a place lost in the mists of time. Now they are convinced that Midkemia is that place, and they are coming to reclaim it. Life has not been easy for battle-weary Tungdil the dwarf. But this heroic warrior can't rest yet, as he must now face the most formidable enemy the kingdom has ever encountered. A new evil is terrorising the land of Girdlegard. Monstrous hybrid creatures are on the rampage, leaving a trail of destruction in their wake. They are out to steal an artefact which is vital for the kingdom's defence, and whoever holds it could control the world. Here starts an adventure that will span lifetimes and worlds. Discover where the story begins. 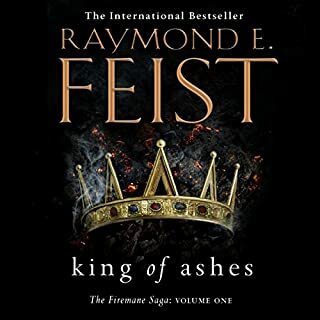 Raymond E. Feist is an internationally best-selling author. My name is Pug. I was once an orphaned kitchen boy, with no family and no prospects, but I am destined to become a master magician…War is coming to the Kingdom of the Isles from another world, bringing with it chaos and destruction. An Old Master Returns in Classic Style! Even as a young girl, Jill was a favorite of the magical, mysterious Wildfolk, who appeared to her from their invisible realm. Little did she know her extraordinary friends represented but a glimpse of a forgotten past and a fateful future. Four hundred years - and many lifetimes ago - one selfish young lord caused the death of two innocent lovers. Then and there he vowed never to rest until he'd righted that wrong - and laid the foundation for the lives of Jill and all those whom she would hold dear. 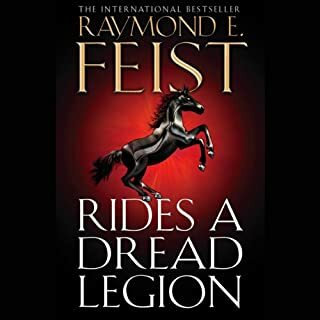 A new episode in Feist's massively successful Riftwar saga. From the endlessly inventive mind of one of fantasy's all-time greats comes a spellbinding new adventure featuring old favourites Jimmy, Locklear, and Pug. It is nine years on from the aftermath of Sethanon. There has been peace awhile, and it's been needed. But news is feeding through to the people of the Kingdom of the Isles that deadly forces are stirring on the horizon. The bringer of the latest tidings is Gorath, a moredhel (dark elf). When the world was young and Gods still walked among their mortal children, a headstrong orphan boy set out to explore the world. Thus began the extraordinary adventures that would mold that youthful vagabond into a man and the man into the finely honed instrument of Prophecy known to all the world as Belgarath the Sorcerer. Then came the dark day when the Dark God Torak split the world asunder, and the God Aldur and his disciples began their monumental labor to set Destiny aright. Foremost among their number was Belgarath. His ceaseless devotion was foredoomed to cost him that which he held most dear - even as his loyal service would extend through echoing centuries of loss, of struggle, and of ultimate triumph. 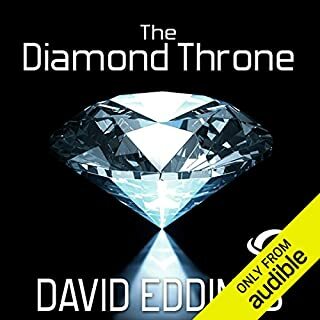 ©1995 David Eddings (P)2017 Audible, Inc. 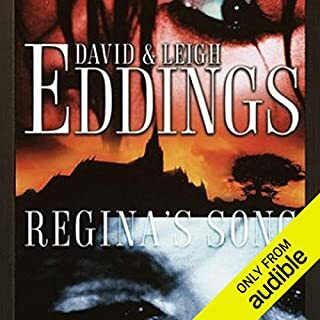 I have enjoyed the works by David Eddings for many years but a health condition now means I have to rely on audio books. I do not know who thought Cameron Beierlie was a suitable person to provide audio but I can only think they must be deaf. A good story ruined by an appalling reader who cannot even maintain one accent per character making it almost impossible to follow conversations! I know many dont get on with the narration of this book. 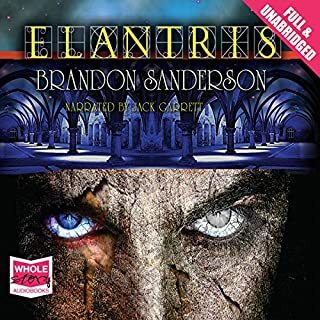 However I have listened to the Belgariad and Malloreon all read by Cameron bierlie. Yes sometimes he makes an error but to keep up all the different accents and voices throughout the 11 books and read with the proper cadence an f2f inflection is extremley difficult. I think the narrator does a pretty good job of it and I have enjoyed his telling of these stories. I just wish he was reading Polgara the Sorceress too. Thank you Cameron and Audioble for a great performance. Don’t start here if you’re a new reader to the series. I love this book and it is a great addition to the series. However as it seems to be listed as book 0 on Audible it might fool new readers into starting with this book. If they do, then it will spoil everything for them within the first few minutes of the book. 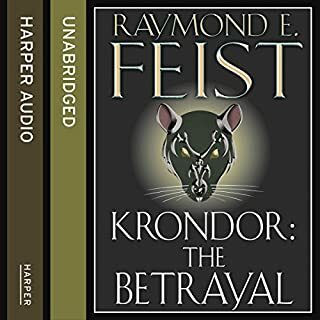 Other than that I enjoyed the original hardback copy and I loved the audio book even more. The voices for each character were pretty much as I imagined they should be and the performance overall is superb. A great book to pick up, AFTER you have finished the whole series first. 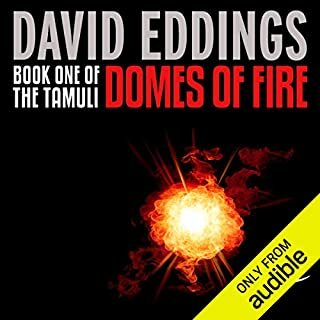 I have long been a fan of David Eddings work and I have read this book before, however, I had a problem with the pronunciation of the names by Cameron Beale. Why did David Eddings go to all the trouble of putting an “h” in Cherek for Cameron to pronounce it Kerek? I found myself correcting him in my mind on the several mis pronunciations and losing the gist of the prose. Perhaps if I was new to the work it wouldn’t matter. Read the Belgariad and the Mallorean first! Read Polgara after. Fills in the gaps of the others great book, only struggle I had was going to bed at night and not wanting oh just 1 more chapter. I loved every moment of this story with all the characters, the narrator had no difficulties with acting out their voices and personalities. I was completely thrown into their lives and I'm missing them already. I read this book when it was first released. I love all of Eddings books of the 2 series this book relates to. Back in 2013 I bought this audio when it had a different narrator. It was ok, did not like some of his pronunciations but put up with it anyway. 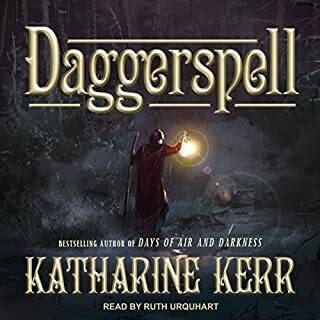 I just found out that this audiobook has been re-released with Cameron Beierle narrating and I HAD to buy it!! He is the best. 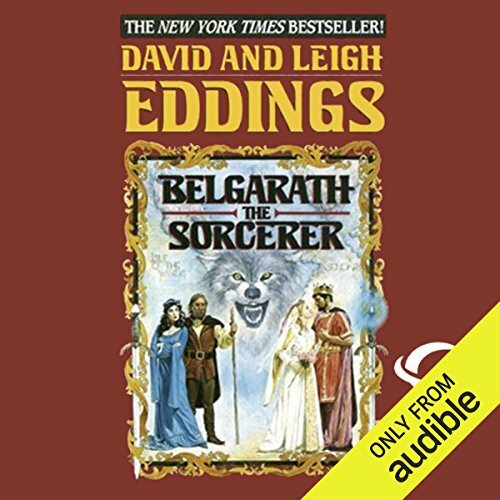 Would you consider the audio edition of Belgarath the Sorcerer to be better than the print version? 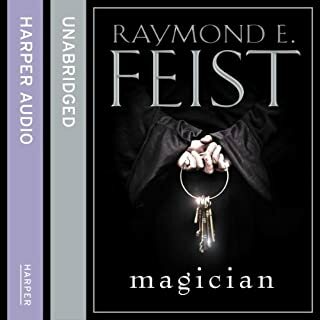 This audio book is possibly better than the print version. Narration is spectacular. What was one of the most memorable moments of Belgarath the Sorcerer? There were many memorable moments. Have you listened to any of Cameron Beierle’s other performances before? How does this one compare? 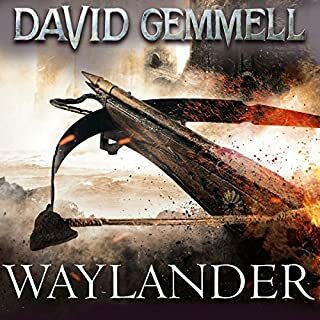 I haven't listened to Cameron Beierle's other performances, but I am going to buy the audio book versions of the Belgariad series (even though I have the printed books) just to enjoy his narration. This is because I enjoyed Belgarath so much that I am listening to it for a second time...that's 32 hours each time! yes. I used every opportunity to listen to this book...even during my outdoor running, instead of a playlist. The storyline was very entertaining. I have read many comments about Eddings not being the most complex fantasy writer. I'm sure that's true. He is however very good IMO in building the characters in his books. I also note that Eddings seems to have similar characters in his different series however that didn't really bug me. 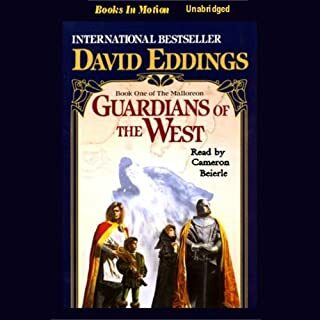 Overall, when I read Eddings works, I feel relaxed and am generally looking forward to picking up again where I left off. Belgarath is one of my favourites! Great trip down memory lane. 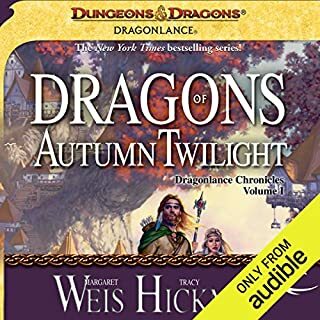 A solid tale that fills in some of the details of Belgareth's backstory prior to the Belgariad and the Malorian, as told by him after those two series. So read those two first if you haven't. It hits all the things that were told in passing during the main story and expands upon them. But... that is the vast majority of what this book is. Nostalgia. You don't meet many new characters of much lasting importance, so it becomes a parade of past remembered places and events where they're with you briefly then move on. A lot of time passes, but there isn't a strong sense of progression or conflict. Which is furthered by the fact that you know the outcomes. If you are a fan of the main story, this is worth the credit, with the proper expectations going in. 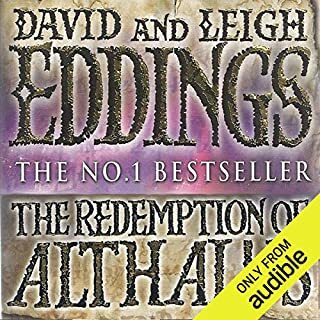 If you have listened to the rest of these books then this is the version of Balgarath to listen to Cameron does a masterful job on this using the same accents as the other book and great care is taken with pronunciation and he even referred to David Eddings notes to get it right. I hope books in motion redo Polgara which is hard to listen too. With this version it is like listening to an old friend tell his favourite tall tale. This version is simply wonderful. 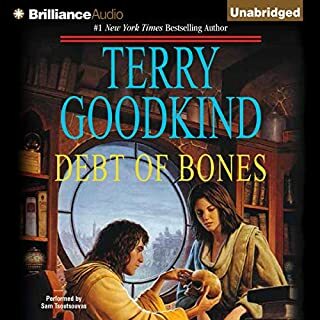 I've been listening to eddings garion novels since I was kid, and hearing this was like spending time with an old friend. 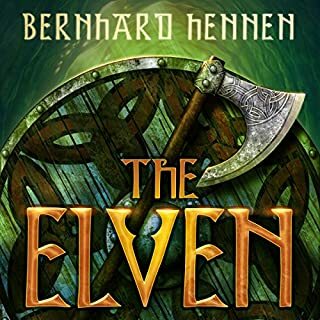 that being said, you probably won't enjoy this too much unless you're familiar with the belgariad and malorean - as the story is belgarath talking, there's a lot of off hand remarks to and about the other characters from the previous books. so while you might enjoy it with out knowledge of the other books, you're going to miss some with out their context. if you know the series, this book is as wonderful as cup of tea on a cold winter's day. it provides a lot of background for the previous series and helps you understand a lot of the world history. I particularly enjoyed the insights into poledra and belgarath's relationship evolved. the narration is superb. how he kept the voices down after so many years since doing the last book in the other series amazes me. so glad they got him to do this one too. 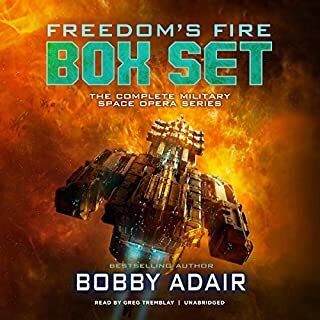 I hope audible gets him to do Polgara as well (though I'd feel bad for him having to do a woman's voice for 30 hours). some people complained that he mispronounced words in the previous books, but he corrected that in this narration. I love how he does a unique voice for each character, it really makes the story come alive. 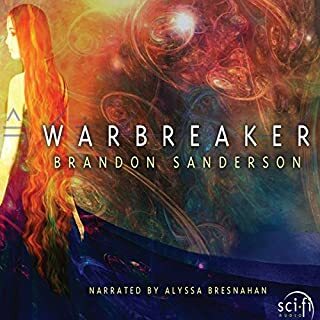 I hope audible gets him to do more narrations. Like hanging out with old friends. Not a lot of story here. More like sitting around with old friends, telling tells and finding out things you never knew about them. Fans of the series will appreciate it. The narrator is great. Hopefully they will arrange for him to narrate the last book. I've read all the books in this series many, many years ago. Listening to the story after so many years was really enjoyable. The narrator was wonderful and even though it's pretty long, it didn't feel that long. Great lore addition! Fills in the history perfectly! Recommended to read after main series though, it contains spoilers to The Belgariad. wonderfully told, epic fantasy, one of my favorite author. a book I will listen to and re-read often.